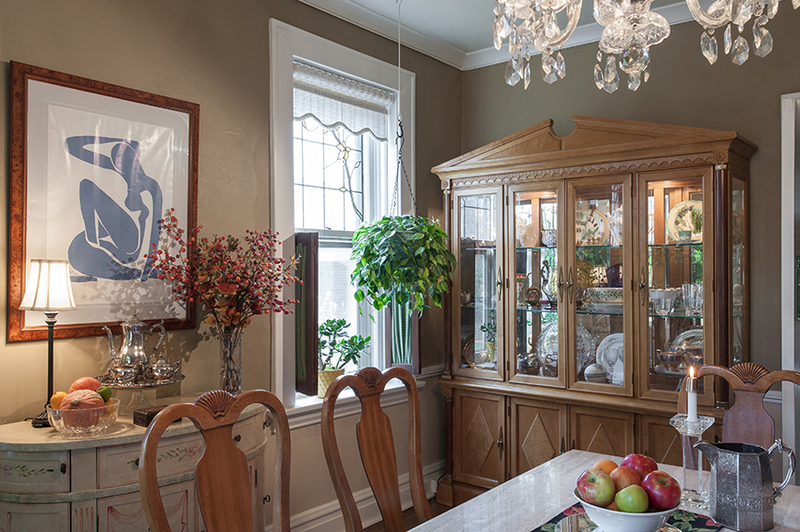 Surrounded by pictures, mementos and pieces passed through her family, Dr. Deb Carlin's University City home tells the story of her life. 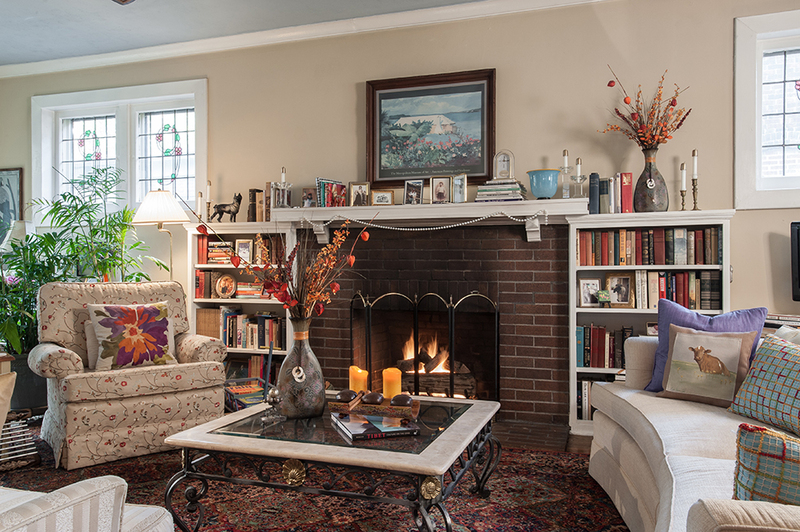 For Dr. Deb Carlin, her University City home was love at first sight. “I felt the history, life, love and people who had lived her before,” she explains. Carlin purchased the brick home in 1993, and prior to her purchase, it had been passed down through several generations of the Graeff family. The home was in need of a little TLC when she took ownership, but as Carlin laughs, “I brought contractors in right away and had my hands on every inch of the home.” While the integrity of the structure was maintained, the home required lots of modernizing, including updating the electric, plumbing, central AC. Carlin took special care to preserve the floors, plaster and lathe walls and radiator heating. 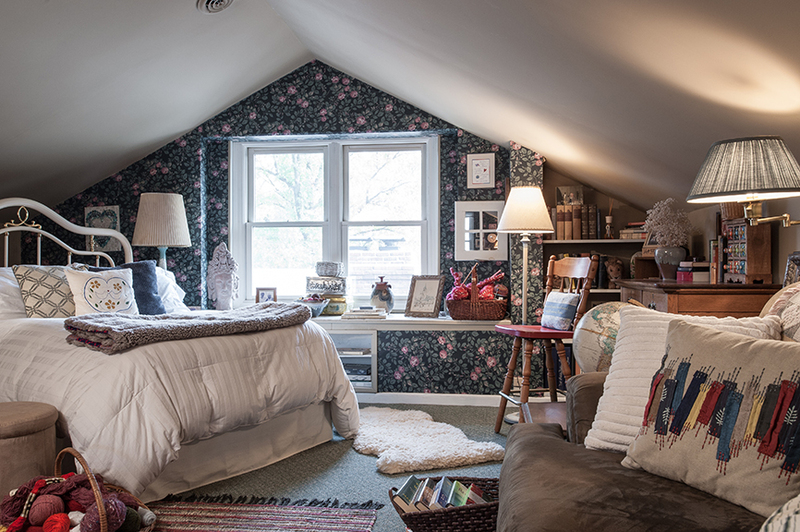 Walls were opened up, a fifth bedroom was turned into a master bathroom and closet, the kitchen got an addition and the outdoors have been completely transformed in the 20 years Carlin has lived in her home. While all of these modifications are noteworthy and have made her home more livable, it is the items Carlin has filled her home with that shine. “I’ve made so many memories of the people who have been in this home and lived here,” Carlin says with a smile. “Your house should tell your story of your lineage and the people who have been in your life. Levity is a big part of the story.” Every room and item in Carlin’s home has a story. 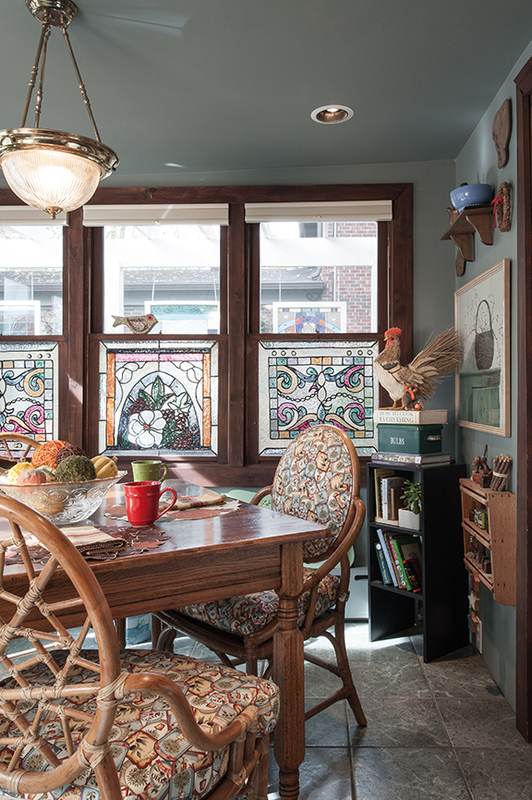 From the stained glass windows she unearthed behind the boarded up windows to her grandmother’s desk where she pens notes to friends and family, Carlin has designed her home as her personal sanctuary. In the second-story sunroom, natural light hits every inch of the space. With the assistance of her trusted houseman, who has worked with her for 20 years, Carlin vaulted the ceilings and added a skylight, so natural light abounds. 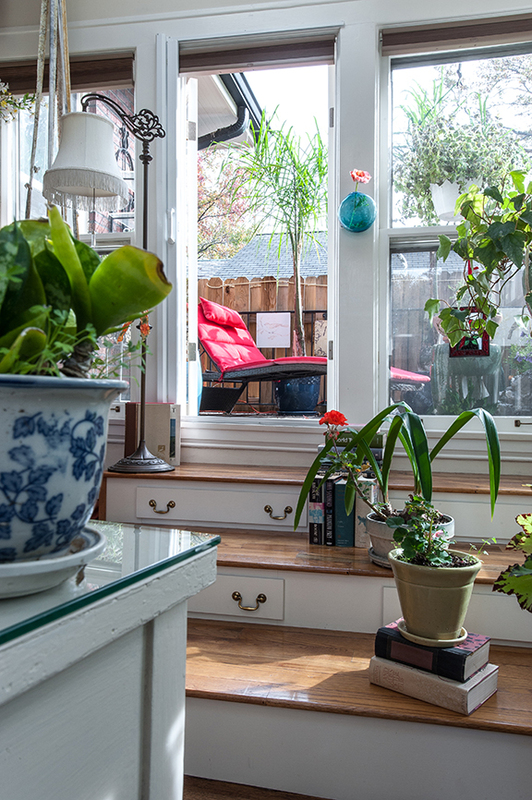 Surrounded by houseplants, the sunroom really brings the outdoors in. 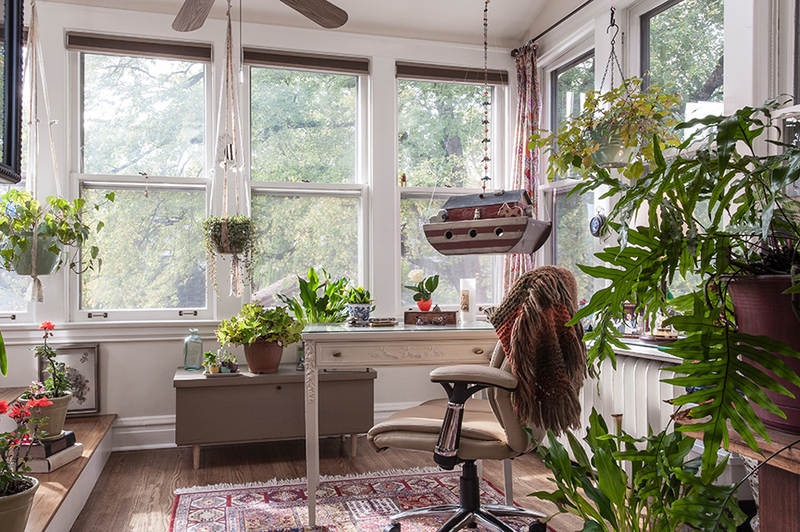 With a picture-perfect view of her garden, the sunroom is where Carlin does her correspondence. You won’t find any electronics in this space. A delicate, white writing desk that belonged to her paternal grandmother is where she gets down to business. The room is also filled with old family albums and mementos. A set of steps leads to a set of French doors that open to a tucked away wooden deck. It is the ideal spot to sneak away for a few peaceful moments throughout the day. Just down the hall, Carlin’s master bedroom faces her quiet, tree-lined street. “I love the light and views in this room,” she says. 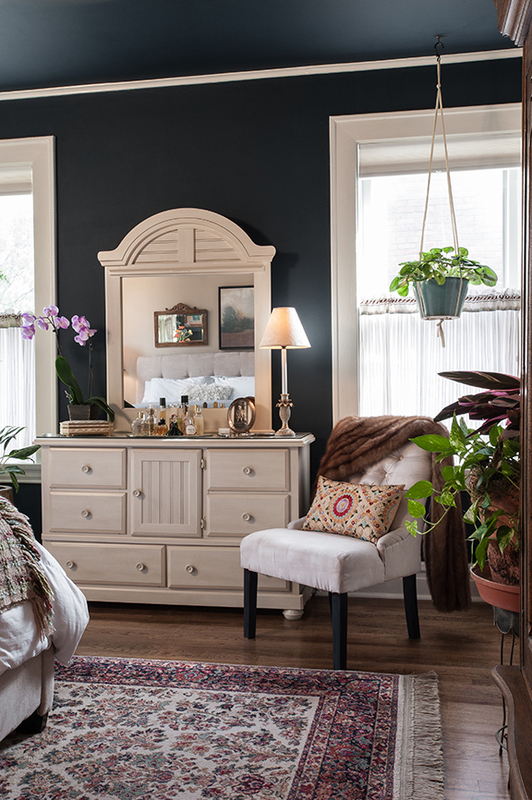 An antique wardrobe holds bedroom necessities and has been through three moves with her. Structurally, Carlin turned what had been a fifth bedroom into her master bathroom, which allowed for a large bathtub next to the window. She also turned three closets from the master, fifth bedroom and hallway into one large closet with plenty of storage. “You can be creative with space in an older home without compromising the integrity of the structure,” Carlin explains. 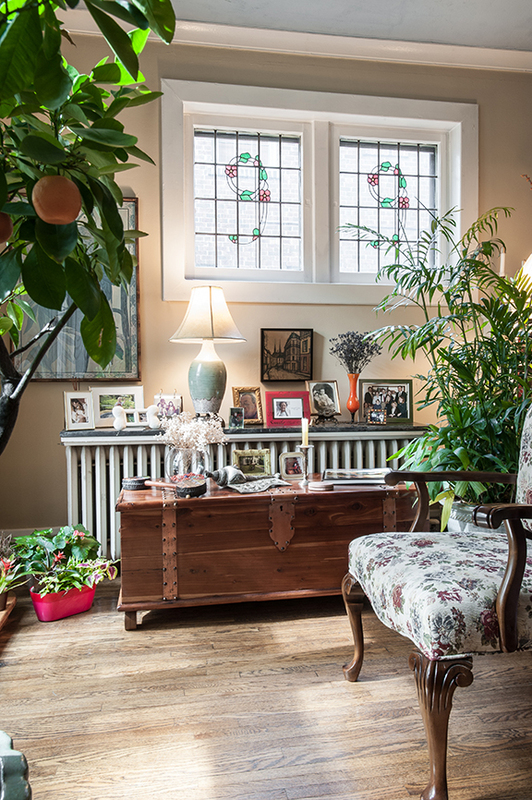 The main level of the home is where Carlin really showcases special items from her life. In the expanded kitchen and breakfast area, she has surrounded herself with pieces that remind her of her family, like the 80-year-old pots and pans hanging above the stove, which belonged to her parents. “They make cooking and baking so much fun,” she says. 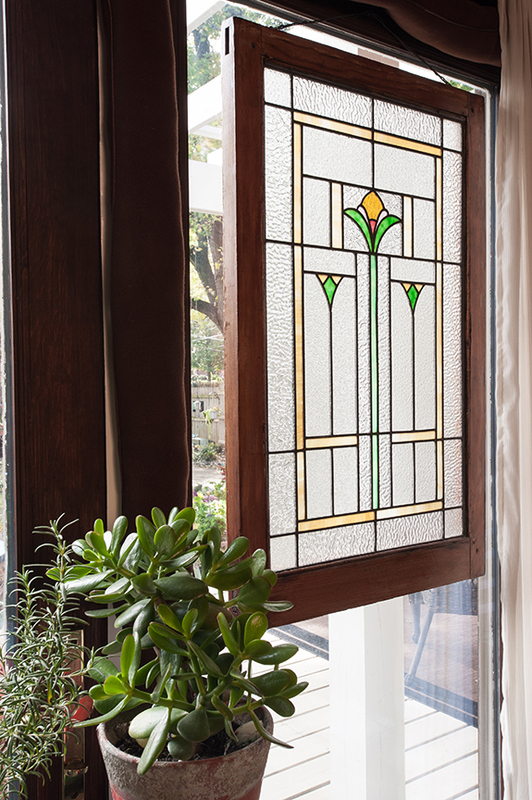 A stained glass window hanging near the back patio is from the home Carlin grew up in in Chicago and was given to her by her parents. She is reminded of her Swedish heritage each day by the Carl Larrson artwork hanging in the breakfast area that captures life in Sweden. The art reminds her of a lot of the traditions she grew up with.